Using your chosen nail colours. Pour them onto the surface of the water. Just a few small blobs will do, as the colour will spread out across the surface of the water when it makes contact. 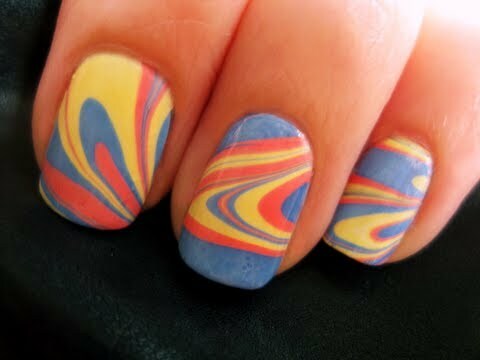 Using a cotton wool bud, dip it into the water and swirl around to make your desired pattern. Step 3: Dip your nails into the water through the pattern on the surface. 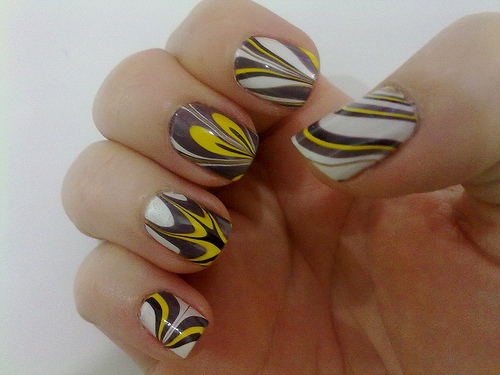 The nail colour will stick to your nails and probably your fingers too!